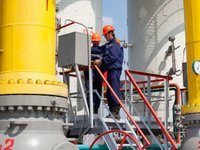 Ukrtransgaz has published the baseline price of gas for November 2018 – UAH 11,533.40 per 1,000 cubic meters (VAT included), which is 6.6% lower than the price for October, the operator of the Ukrainian gas transmission system (GTS) has reported. Ukrtransgaz recalled that the updated baseline price of gas is used in calculating financial support from December 16 of this year to January 15 of the next year, as well as the cost of balancing services and an additional fee for non-compliance with gas quality parameters for November. As reported, the baseline price of gas for October 2018 was reduced by 7.5% after rising by 11.5% in September.